Obviously we are all concerned about the devastation that losing a home has on the people and families directly involved. But we are equally concerned about the social and economic damage on the surrounding families, and their properties and communities. Cherokee's community development initiatives have always sought to bolster "at risk" communities, and create or preserve quality affordable housing. This mission has taken on added urgency as a result of the real estate market decline, and the surge in prime and subprime mortgage defaults. This credit and real estate crunch is claiming more victims than just the thousands of borrowers facing the prospect of losing their homes. The ripple effects will have wide-ranging impact, especially as the subprime mortgage crash, and the credit crunch spread into "prime" loans, has an impact not only on the economy, but on society at large. Social service agencies say homeless rates are on the rise not only as families lose their own homes to foreclosure but also as renters are evicted after their landlords default. Displaced tenants are an example of a new kind of homeless, those that are completely innocent victims. RealtyTrac, a company specializing in foreclosure property information, estimates that more than 20% of residential foreclosures involve investment properties. When landlords lose those properties, their tenants lose a roof over their heads, and their security deposits, often with little warning. There's not much they can do except move. Analysts warn that state and local governments will soon feel the pinch of sharply reduced property tax revenue. Government agencies that can help stricken families are also facing a bind, economists said, because the high number of foreclosures removes property tax payers from the rolls. "The housing market has put a big negative for local government revenues across the board," said Stephen Levy, director of the Center for Continuing Study of the California Economy in Palo Alto. The nonprofit Center for Responsible Lending said California could lose nearly $3 billion in property tax revenue and another $1 billion in sales and transfer tax revenue thanks to foreclosures. "Property tax revenues are going to be a lot less than local governments built into their budgets, and there are going to be tough times at the local level," Levy said. Atlanta City Council member Mary Norwood said property tax revenues would also take a hit because foreclosed homes drive down property values in a neighborhood, leading to lower assessments on people who do pay up. The Center for Responsible Lending put that price tag at more than $17 billion nationwide. "You have a lot of vandalism, the house deteriorates, that drags down the neighborhood," Norwood said. "It affects property values of other homeowners in the community." Mortgage fraud hurts everyone. Mortgage Fraud is involved in a disproportionate number of foreclosures. You can help fight it, and thereby help fight foreclosures in your community. This will help stabilize property values and the tax base. 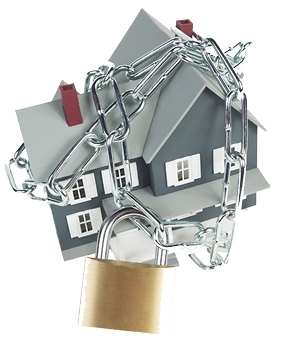 Who Gets Hurt by Foreclosures? The Federal Bureau of Investigations has a variety of programs designed to help build stronger communities.